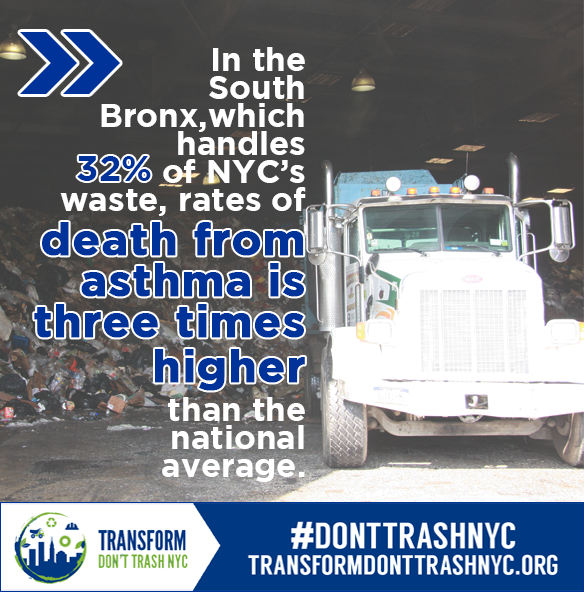 In the Bronx, which handles 32% of all of New York City’s waste transfer stations , death from asthma rates are three times higher than the national average . 1. The City of New York Department of Sanitation, www.nyc.gov/dsny.